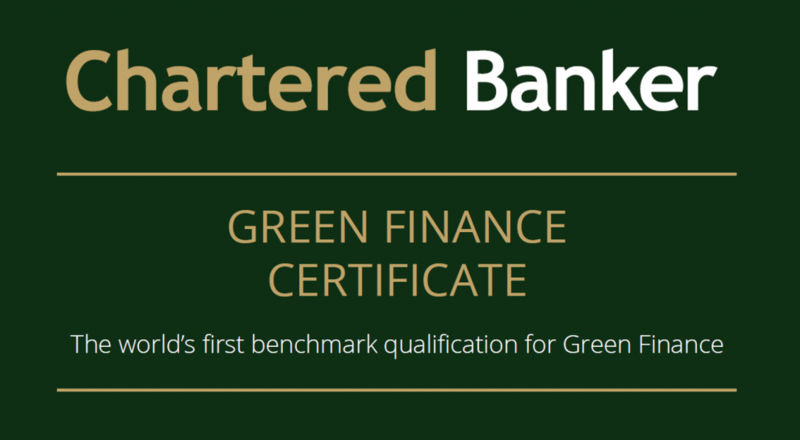 The EFH has welcomed the launch of the world’s first benchmark qualification for Green Finance by The Chartered Banker Institute. The qualification will develop financial services professionals’ knowledge of the science behind, and the principles and practice of Green Finance. The Green Finance Certificate will set the benchmark for the knowledge and skill required by green finance professionals worldwide. The aim of the certificate is to help professionals understand what is meant by green finance, products and services, and to help them play a leading role in developing a sustainable banking and financial services industry with a renewed sense of social purpose. The opportunities and challenges of mainstreaming green finance. To find out more please download the Green Finance Certificate brochure below.